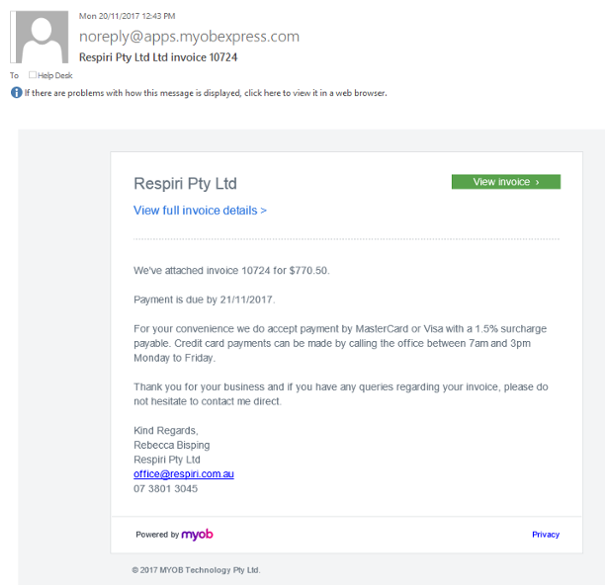 Please be aware that there is a malicious email currently circulating pretending to be from MYOB claiming to have an invoice and prompting you to click on a link. You do not have to be a MYOB user to potentially receive this email. Do not open any attachments or click on any links in the email. Please ensure the email is permanently deleted from all your email folders.